If you don’t find an answer here or elsewhere in the user manual, please try searching the public user forum. Someone may have had the same problem before and been offered a solution. If you do not find the answer there, feel free to ask us a question. The best questions to the list include as much information as possible about the error. This means offering us information about the system(s) you’re using, the content of your transfer(s), and copying the task information (click on the cog icon on the same line as the micro-service job where the error occurred) and show arguments data output. See task information and show arguments data for the same error, below. 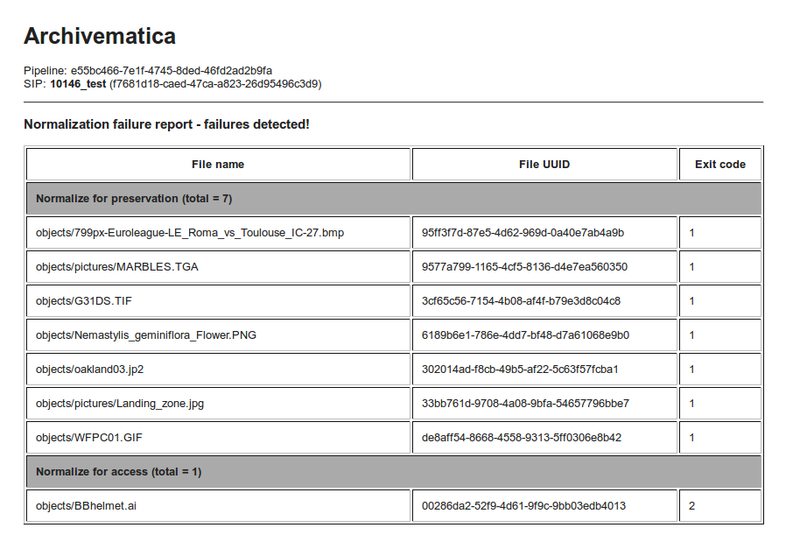 When a micro-service fails or encounters an error, the workflow will be halted and Archivematica will report a ‘Failed transfer’. The micro-service drop-down can be expanded to show the specific task that failed. Verify metadata directory checksums: if the checksums in the metadata directory cannot be verified (i.e. if a file is missing or corrupted) the micro-service will fail and the transfer will be moved in the failed directory. Scan for viruses: if a virus is found the micro-service will fail and the transfer will be moved in the failed directory. 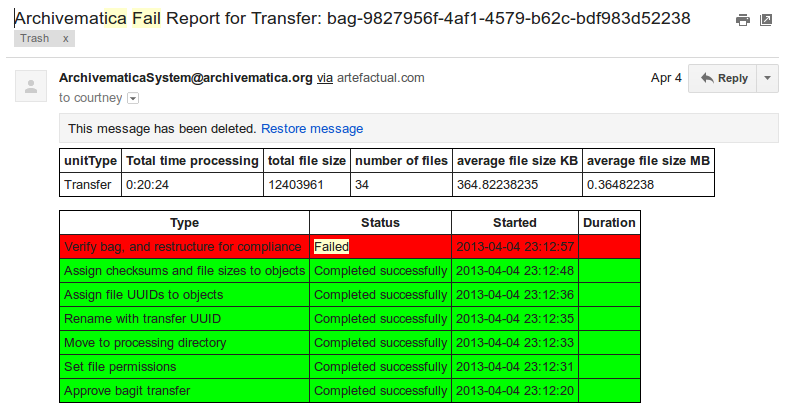 Remove thumbs.db file: if Archivematica is unable to remove a thumbs.db file, the micro-service will fail and the SIP will continue processing. 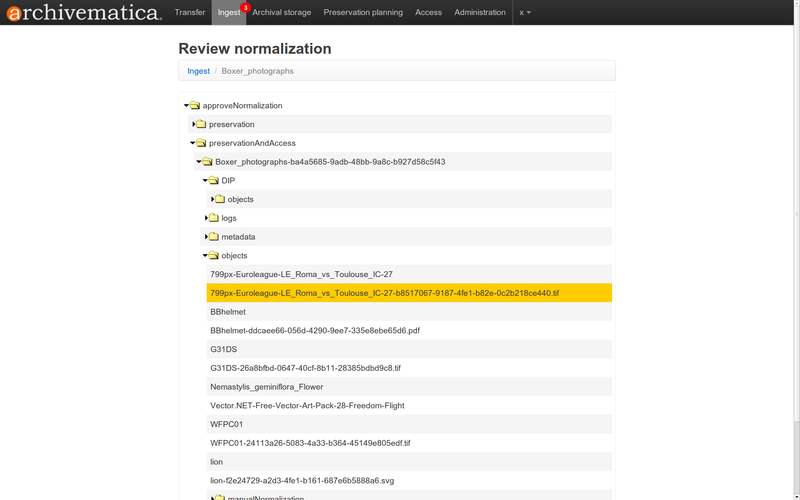 Normalize submission documentation to preservation format: if normalization fails, the micro-service will fail and the SIP will continue processing.